The storm system that affected Colorado is now moving its way East and re-strengthening over Kansas. 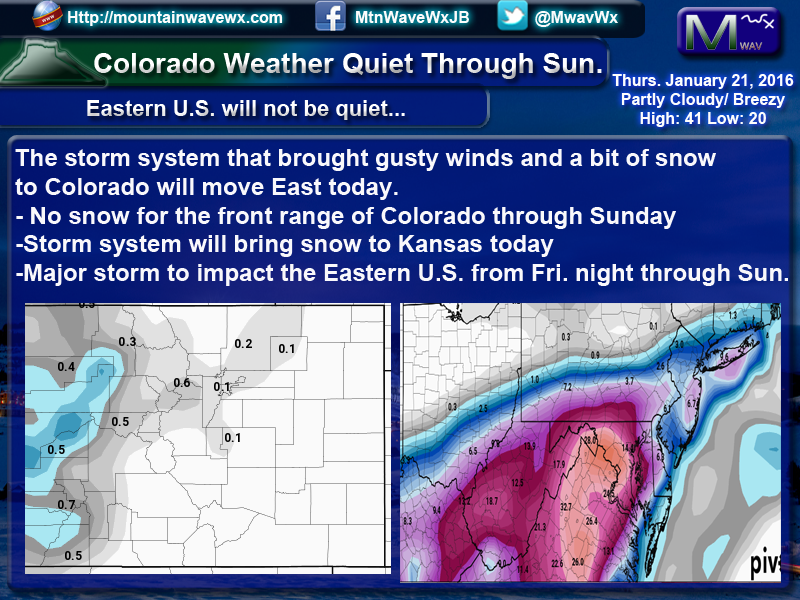 This will mean a few quiet days for us in Colorado and a few very hectic days out East. 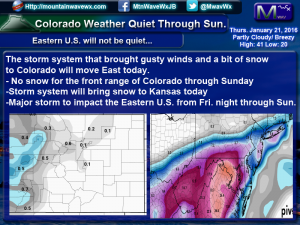 Some areas could see nearly 3 feet of snow! There are several watches and warnings out, if you are in any of the affected areas, be prepared for prolonged severe weather. 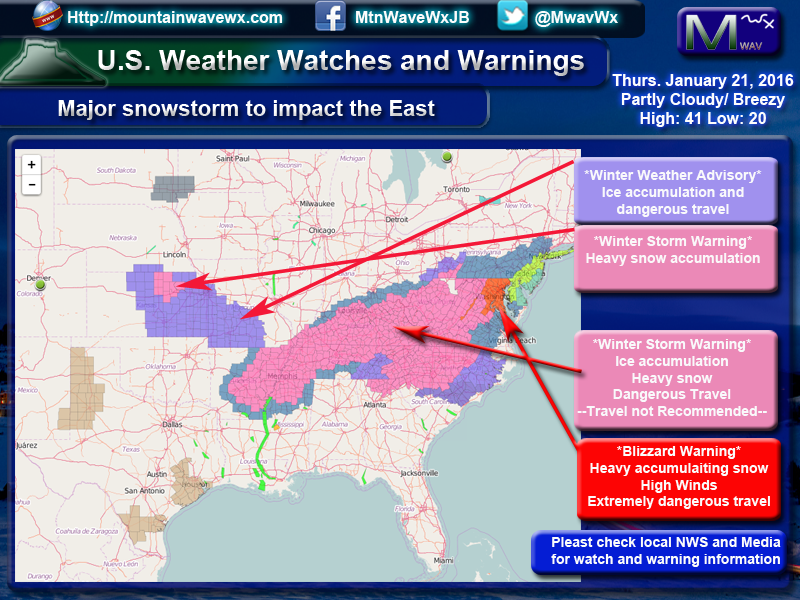 Keep an eye on your local NWS for warning and advisory information. The NWS has brought in extra staff for these events so they will be the best source of information.